Saudi Arabia – (warsoor) – State Department official says Saudi prince’s actions have ‘the potential to damage US interests’, NY Times reports. US officials have expressed “growing alarm” at the moves made recently by Saudi Arabia’s crown prince saying they could “damage US interests”, the New York Times reported. US diplomats along with officials from the Pentagon and the CIA say Crown Prince Mohammed bin Salman “is behaving recklessly without sufficient consideration to the likely consequences of his behaviour”, the Times quoted an unidentified State Department official as saying on Tuesday. 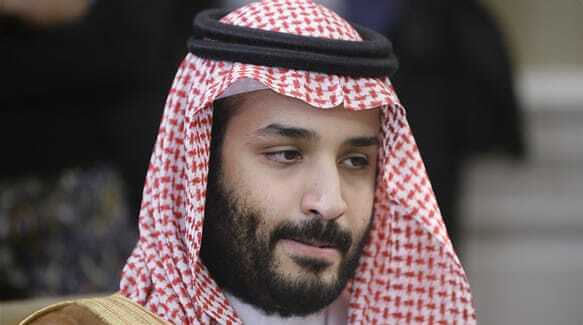 Crown Prince Salman, 32, also known by his initials MBS, has quickly consolidated power after being named next in line for the thrown by his father, King Salman, last June. Dozens of senior Saudi officials were rounded up and detained – allegedly in a corruption crackdown – on November 4, including 11 cabinet ministers and some of the kingdom’s most powerful businessmen. On the same day, Lebanon’s Prime Minister Saad Hariri abruptly announced his resignation on television from the Saudi capital, Riyadh, saying Iran and the Hezbollah movement were interfering in his country’s affairs. Hariri has yet to return from Saudi and critics within Lebanon’s government have accused Riyadh of detaining him against his will. The leader of Hezbollah, Hassan Nasrallah, said Hariri’s resignation was “forced” by Saudi Arabia. The comments by the State Department official to the New York Times again reflect the disunity within the US administration of President Donald Trump. A Saudi-led group of countries also imposed a blockade on neighbouring Qatar on June 5, accusing Doha of supporting “extremism” in the region. Qatar has vehemently denied the accusations. Last month, US Secretary of State Rex Tillerson urged the crown prince to engage Qatar in dialogue to end the Gulf crisis, but he said there was “not a strong indication” MBS was ready to talk. MBS was appointed defence minister in January 2015 and his most notable move was to launch Operation Decisive Storm, a Saudi-led coalition in Yemen against Houthi rebels in control of much of the country. The war has not gone the coalition’s way with the Houthis still controlling the capital, Sanaa, and areas in the north. Yemeni civilians have borne the brunt with 10,000 dead, tens of thousands wounded, the impoverished country on the brink of famine, and a deadly outbreak of cholera. Saudi Arabia has accused Iran of “direct military aggression” through the Houthi rebels in Yemen. The crown prince has pledged to overhaul the economy of Saudi Arabia by weaning it off its heavy reliance on oil, rid the kingdom of systemic corruption, and “moderate” a society that has long been influenced by religious hardliners. He has also driven a far more aggressive foreign policy to counter the influence of regional rival Iran. After taking over in June, MBS vowed to take “the battle” to Iran, which he accused of seeking “to control the Islamic world”.